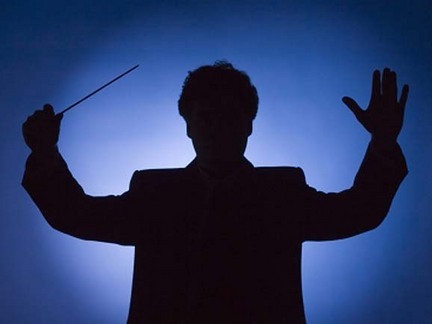 Like the conductor of an orchestra, your nerve system ‘orchestrates’ virtually all of the functions of your body. When an individual cell of your body or an entire system loses guidance from your nerve system, all bets are off. The drummer has the wrong beat, the woodwinds are playing too loudly, and the brass section is playing the wrong song! That’s why we are interested in your symptoms, but we’re focused on the integrity of your nerve system. There a difference between what you hear in the warm-up and the concert for an orchestra. Even though each musician is playing amazing things during the warm-up, it is dis-organized and sounds like a mess. Without organization, there is no harmony. But then the conductor steps up to the podium and begins organizing the musicians; directing them in a cooperative and purposeful manner that brings about harmony. Your Life Energy is the ORGANIZER of all of the different parts of your body; the conductor if you will. It uses your brain and nerve system as tools to coordinate and ORGANIZE all of your parts to work together harmoniously and bring about health and happiness. It requires a clear CONNECTION between your brain and your body. And, because of the intimate CONNECTION between your spine and your nerve system, you must also maintain a properly aligned and fully functioning spine in order to maintain your clear neurological CONNECTION, and that is what chiropractic care is really all about!